Cockroaches have been around for millions of years, evolving into some of the most adaptable pests on Earth. There are approximately 4,000 living species of cockroaches in the world. Our buildings are ideal for cockroaches because they provide food, water, warmth and shelter. You will probably have a problem with the prolific German Cockroach. If you see the German Cockroach during the day or in areas where there is no food available such as bedrooms then you may have enormous populations. Cockroaches have been known to spread disease by transporting bacteria and organisms from sewers and other unsanitary sources to food and food handling surfaces and utensils. The appearance of Cockroaches in the public areas of your business can cause a huge loss of goodwill and seriously harm the reputation of your business. Even your staff can find the presence of Cockroaches quite repulsive. They also contaminate food with their droppings, their dead casts (outer skeleton) discarded Cockroach egg cases even dead Cockroaches and vomit marks causing unpleasant odours which are particularly severe when large populations are present. Call Jim’s Termite & pest Control now and we’ll work with you to control your Cockroach Problem – Guaranteed! 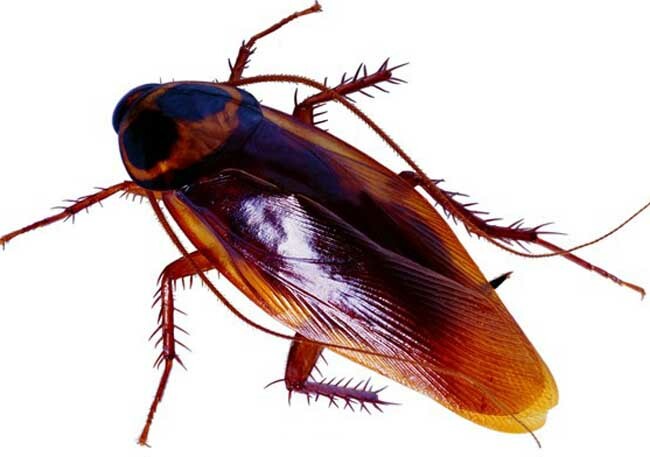 Bait – apply special bait which is licensed and formulated for Cockroach control. This is very safe for you and your children and pets. The bait is applied to out of reach places for your added peace of mind. Dust – apply dust to your roof void, subfloor and in your wall cavities. Surface Spray – apply a special surface spray which is licensed and formulated for Cockroach control. This is applied to the perimeter of your home or building. Spoilt Food – Cockroaches will eat food that has not been properly stored and vomit back onto the food. Casts – Cockroaches cast off their outer body or skeleton during their life and you may notice these in various areas around your home or building. Proofing – This includes simple measures such as fixing mesh over holes to prevent Cockroach entry and to seal cracks and crevices. Stock – Ensuring regular stock rotation and also inspect incoming food stock. Garbage – Keep your garbage is secure and locked. Storage – Store food above the ground and clear of walls. GET A FREE COCKROACH CONTROL QUOTE – Phone 131 546 or book online 24/7.